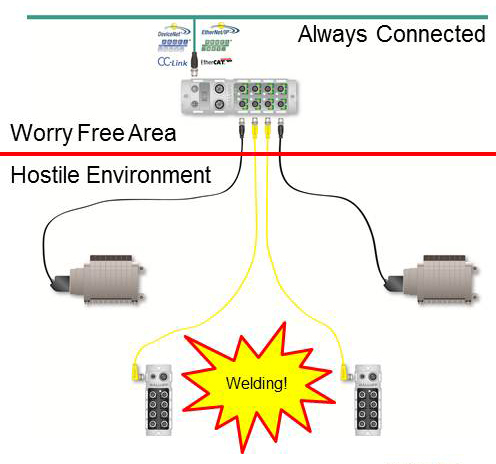 The image above demonstrates the severity of weld cell hostilities. Nesting…usually, inductive proximity sensors with special Weld Field Resistance properties and hopefully, heavy duty mechanical properties (coatings to resist weld debris accumulation, hardened faces to resist parts loading impact and well-guarded cabling) are used to validate the presence of properly seated or “nested” metal components to ensure perfectly assembled products for end customers. Poke-Yoke Sensing (Feature Validation)…tabs, holes, flanges and other essential details are generally confirmed by photoelectric, inductive proximity or electromechanical sensing devices. Pneumatic and Hydraulic cylinder clamping indication is vital for proper positioning before the welding occurs. 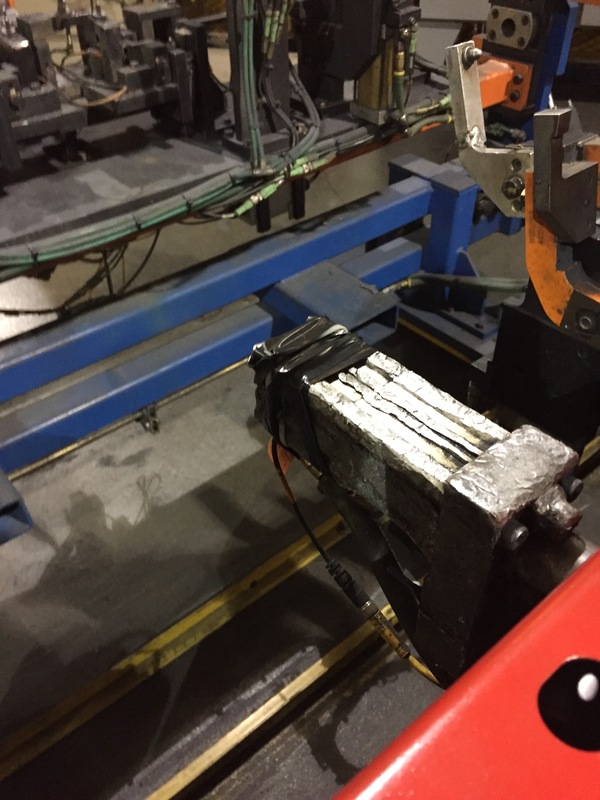 Improper clamping before welding can lead to finished goods that are out of tolerance and ultimately leads to scrap, a costly item in an already profit-tight, volume dependent business. Connectivity…all peripheral sensing devices mentioned above are ultimately wired back to the controls architecture of the welding apparatus, by means of junction boxes, passive MIB’s (multiport interface boxes) or bus networked systems. It is important to mention that all of these components and more (valve banks, manifolds, etc.) and must be protected to ensure optimum performance against the extremely hostile rigors of the weld process. Magnetoresistive (MR), and Giant Magnetoresistive (GMR) sensing technologies provide some very positive attributes in welding cell environments in that they provide exceptionally accurate switching points, have form factors that adapt to all popular “C” slot, “T” slot, band mount, tie rod, trapezoid and cylindrical pneumatic cylinder body shapes regardless of manufacturer. One model family combines two separate sensing elements tied to a common connector, eliminating one wire back to the host control. One or two separate cylinders can be controlled from one set if only one sensor is required for position sensing. Cylinder and sensor under attack. Unlike reed switches that are very inexpensive (up front purchase price; these generally come from cylinder manufacturers attached to their products) but are prone to premature failure. Hall Effect switches are solid state, yet generally have their own set of weaknesses such as a tendency to drift over time and are generally not short circuit protected or reverse polarity protected, something to consider when a performance-oriented cylinder sensing device is desired. VERY GOOD MR and GMR cylinder position sensors are guaranteed for lifetime performance, something of significance as well when unparalleled performance is expected in high production welding operations. But!!!!! Yes, there is indeed a caveat in that aluminum bodied cylinders (they must be aluminum in order for its piston-attached magnet must permit magnetic gauss to pass through the non-ferrous cylinder body in order to be detected by the sensor to recognize position) are prone to weld hostility as well. 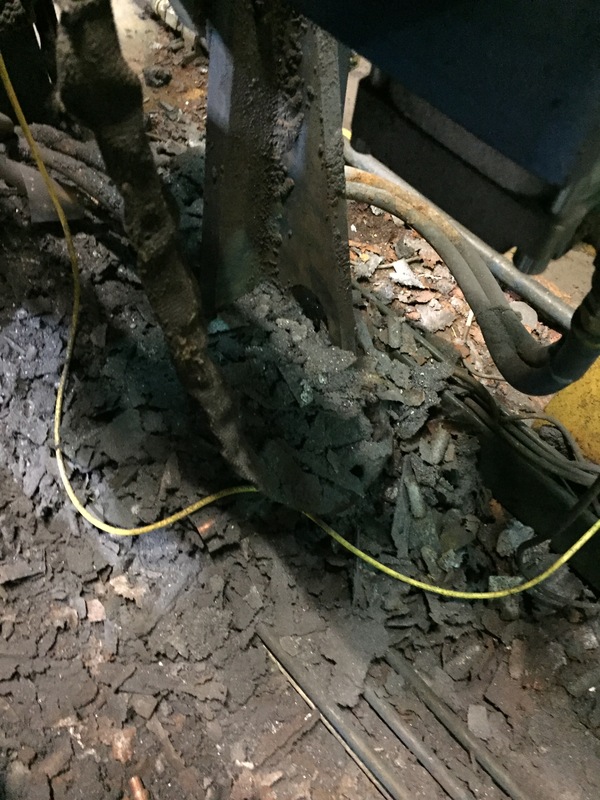 And connection wires on ALL of these devices are prone to welding hostilities such as weld spatter (especially MIG or Resistance welding), heat, over flex, cable cuts made by sharp metal components and impact from direct parts impact. Some inexpensive, effective, off-the-shelf protective silicone cable cover tubing, self-fusing Weld Repel Wrap and silicone sheet material cut to fit particular protective needs go far in protecting all of these components and guarantees positive sensor performance, machine up-time and significantly reduces nuisance maintenance issues. To learn more about high durability solutions visit www.balluff.com. 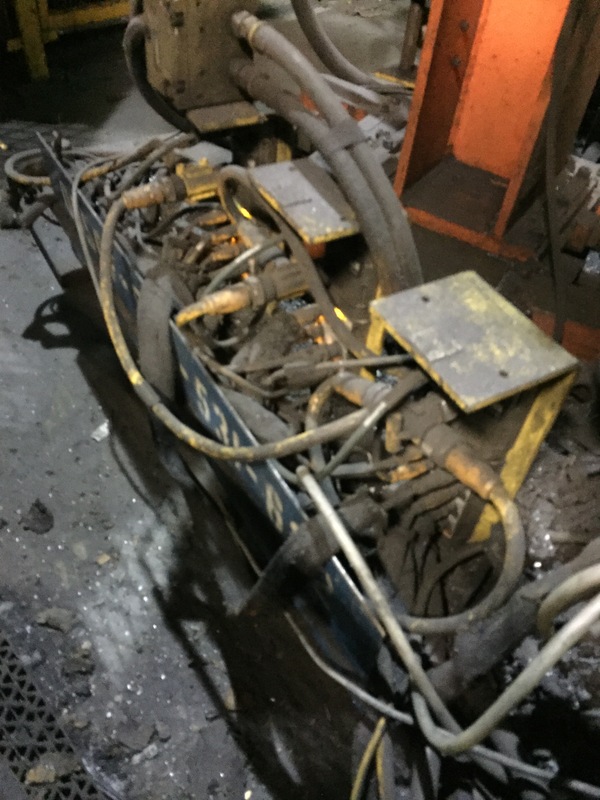 Recently I read an article in Machine Design called “When Flexible Cables Doesn’t Flex for Long” by Leland Teschler which talks about different aspects of flexible cable terms, causes of breakage and testing. The article touches on different lingo between flexible, high-flex and high-flex-life. Flexible and high-flex mean the same thing. Google’s definition of flexible is the capability of bending easily without breaking. High-flex-life is described by Northwire as a cable designed to survive 10 million to 20 million flexing cycles. Those are just the common terms used to describe flexing of a cable, but there are manufacturers that use their own flexing name to describe their cables. Teschler also describes the feel of a cable, whether the cable bends easily or not, based on different degrees of limpness or stiffness. “All in all, cable makers say the stiffness or limpness of the cable has nothing to do with its flex life.” The article goes on to describe a limp cable as a jacket that is made from soft materials, or finely stranded conductors, that allow the cable to move easily but is not meant to be used in applications with repeated flexing. The last part of the article mentions how cables are tested for flexing. There is not a standard in the industry so different manufacturers can use differernt tests. 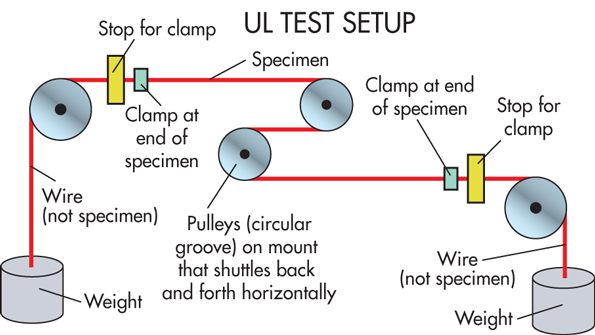 The 3 most common tests are twist and flex test, tick-tock cable test, and UL test setup. Teschler pointed out the main focus for UL and CSA is to test for fire safety and UL test the cables for runs of 15,000 cycles. Overall, I really enjoyed the article and highly suggest giving it a read to understand more about raw cable and testing requirements. To see Balluff’s offering of UL listed cables click here. From The Free dictionary by Farlex, a receptacle is defined as “A fitting connected to a power supply and equipped to receive a plug.” I like this definition it describes both halves of the receptacle. In the automotive industry, the back half of a receptacle has threading on the nut with leads that could possibly connect a power supply. The front half describes which kind of cordset is needed. Typically, receptacles are used in a control cabinet, where there is easy access and out of the movement of machinery. Inside a control cabinet is a power source and/or programmable logic controller (PLC) which a receptacle would be wired to in the configuration of the controller. Receptacles used on a control box normally have a tight seal to keep out moisture and dust. When looking at a receptacle there are two ends with different kinds of threading. In the front of the receptacle has a connection for a cable to connect to the outside environment, cells, and machinery, to the control box. The different cables could have diameter widths of M8, M12, 7/8”, 1” and more. From the picture, we see the front side of the receptacle calls for the M12x1 which would use a M12 cable. The first number is always the diameter of the outer threads. 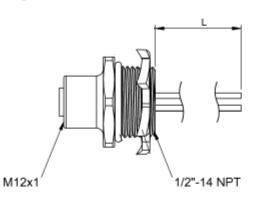 The other end of the receptacle, ½”-14NPT, where the leads come out, has another diameter referred as to the mounting type. There are many different kinds of mounting: Metric, PG, NPT, front mount, back mount, panel mount, etc. The two mounts types being explained here are Metric and NPT. Got a Question About Sensors or Connectivity? Ask the Experts! Normally the sensor experts here at SensorTech blog chose topics that we think will interest our readers. But this week we’re asking our readers to send us their top questions about sensors and connectivity. Got a question about how sensors work? How to select them? How to hook them up to a network? How to properly install and set them up? Some nagging problem with an application that’s driving you crazy? We’d like to hear from you! Please enter your question (or questions) in the comment box below. We’re looking forward to doing our best to help you out!